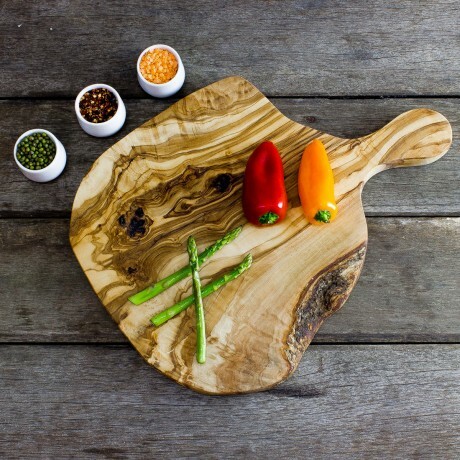 These beautifully rustic olive wood boards with handle are great for carving meat, herbs and vegetables or for serving cheese and breads at the dinner table. These really do have a wow factor and will make a great conversational piece in your kitchen or dining room. These boards have been crafted by artisans to a very high standard, will last for years, and will only get better with age.